Angus has been involved with control and instrumentation equipment ever since leaving university, and has developed a keen eye for efficient process management in the wastewater and water treatment industries. 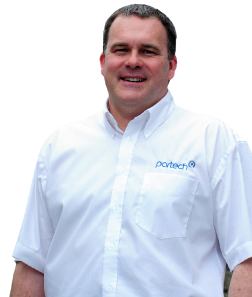 As Sales and Marketing Director of Partech Instruments, his vast experience and in-depth knowledge of process and control products (both of what works and what doesn’t) constantly proves to be an asset to both company and customer, leading his team through all aspects of customer service and support. His expertise and dedication to providing the best service in the industry has led to international establishment for Partech in countries as far afield as China and Australia, and he is always keen to build lasting relationships with distributors. Always giving, in his spare time Angus enjoys coaching young cricket players at his local club, St Austell CC, and takes pleasure in weekend league matches when not spending time with his young family. 50 years at the top, new website, new premises.